Dollywood has reorganised its parking facilities since my last visit, and the change can hardly be described as an improvement. It took twenty five minutes from the time we drove through the gate to our arrival at the front entrance. Unusually the bottleneck was not in fact the toll booths; rather it was the sheer volume of cars trying to park. Consequentially we were braced for massive queues at the rides, but fortunately they were largely absent; it seems that many guests at this park just attend for the shopping and the shows. 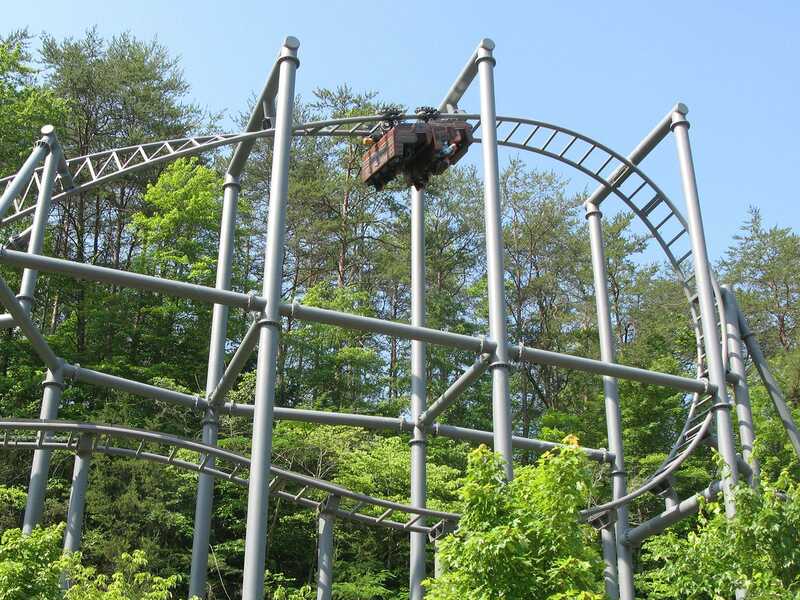 The newest attraction in the park is Mystery Mine (#1183), the first Gerstlauer Eurofighter coaster to open in North America. As might be expected this had the longest wait of the day, at just under half an hour. More eloquent writers have documented the ride experience in full, so rather than rehash I'm just going to state the negative that others are keen to avoid. The restraints on this ride are hard and unforgiving, and as a result certain jolts in the track can be quite sore, particularly in edge seats. If this could be sorted out the ride would be worthy of an eleven out of ten rating; it really is that good. At the moment, however, it's closer to a five. On the plus side, the location of the ride close to Thunderhead reduces the queue on that ride, which is a major bonus. The parks wooden coaster remains an absolute stunner, possibly even better now than I remembered it. Sometimes operators patter can stick in the memory and so it was here; one clear, two clear, three clear, and we're all clear! We finished off our visit with a quick lap on VeggieTales Sideshow Spin (#1184). 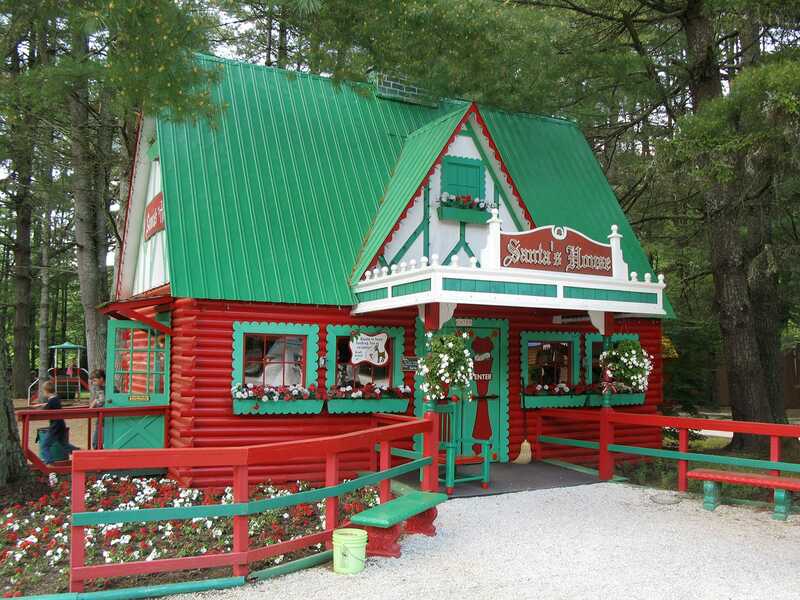 Two years ago my travels brought me to Santa's Village, a charming park in New Hampshire. Santa's Land is not a direct clone of its namesake, but the two parks are very similar. The theming here is beautifully done, to the point that I ended up taking more photographs here than I ended up with from Dollywood earlier today. The star attraction in the park is a surprisingly large powered coaster by the name of Rudicoaster. Part of the charm was without question the enthusiastic retiree wearing an elf hat at the controls, who waved enthusiastically to the riders as they motored past. His antics were appreciated by young and old alike!